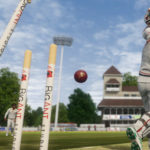 CricketGaming.net and CricketGaming.org is owned by CricketGaming Network which is a private organisation. Other logos and images are copyrighted to their respective companies. Live Cricket Commentary from TestMatchSofa is an external website’s content. 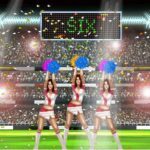 CricketGaming is not responsible for any issues from the commentary. The commentary may contain explicit content. For all issues and feedback regarding the commentary, please contact at [email protected] or visit www.testmatchsofa.com. Reviews and previews written by us are not related to our relation with any game. In short, are not biased. They are completely our opinion. The interviews conducted by us are exclusively for us and not conducted by any other gaming organisation. CricketGaming is a verified organisation at GamesPress and N4G. 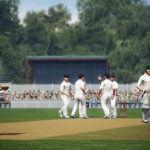 We host patches and mods and we also develop patches for different cricket games. All the methods used in patching are completely legal. CricketGaming strictly avoid Illegal content, warez and piracy. CricketGaming uses vBulletin software which is a commercial social forums software. It’s the property of Jelsoft. The portal is based on popular freeware blogging software WordPress.